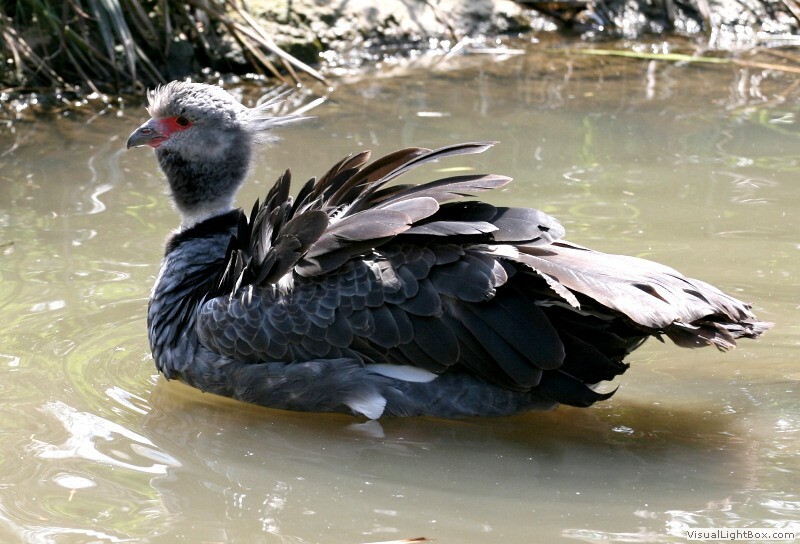 Identify Crested Screamer - Wildfowl Photography. 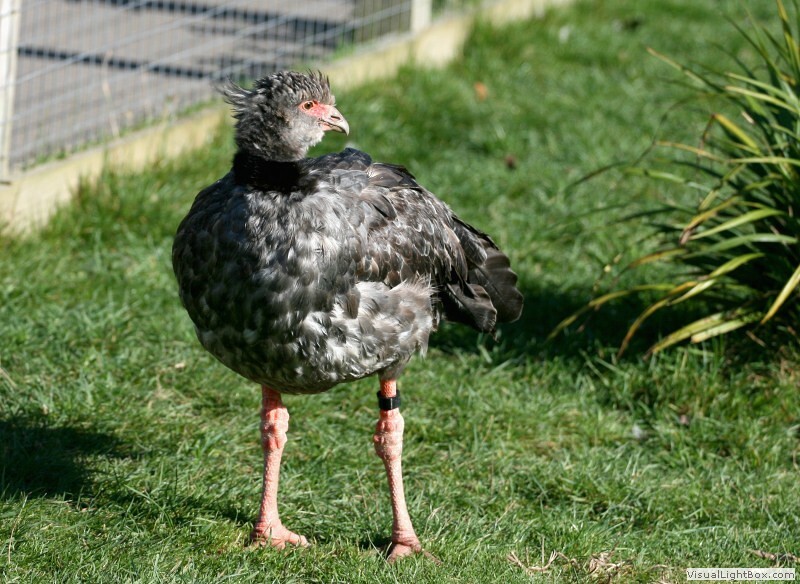 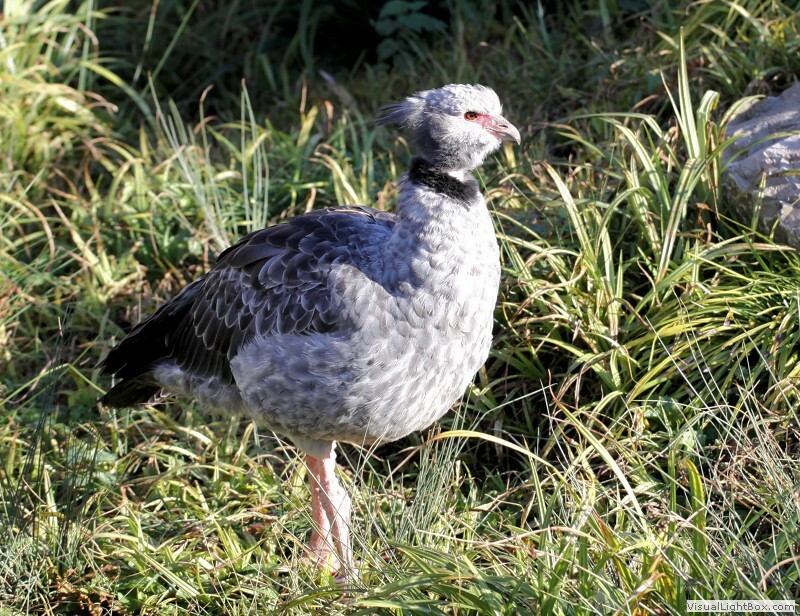 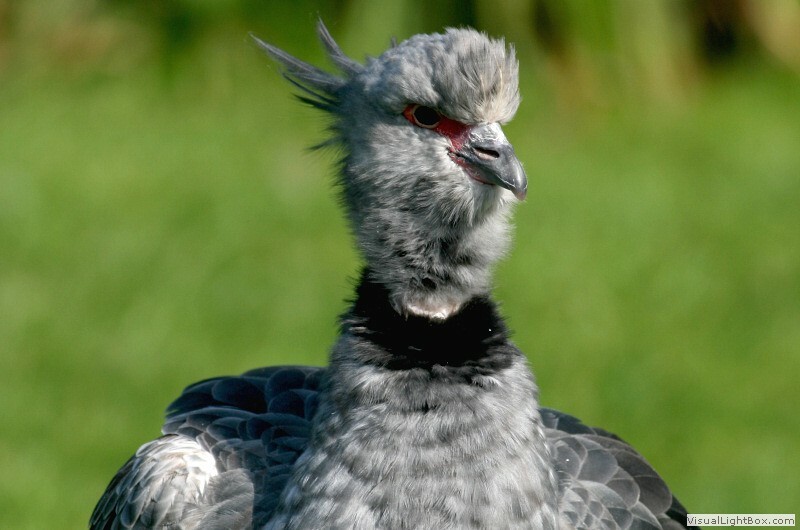 Appearance: - The Crested Screamer has a large grey body with some black and brown feathers, a small grey head with tufts of feathers at the back, a short hooked beak, a black ring around the neck, and bare red skin can be seen from the base of the beak to the eye. 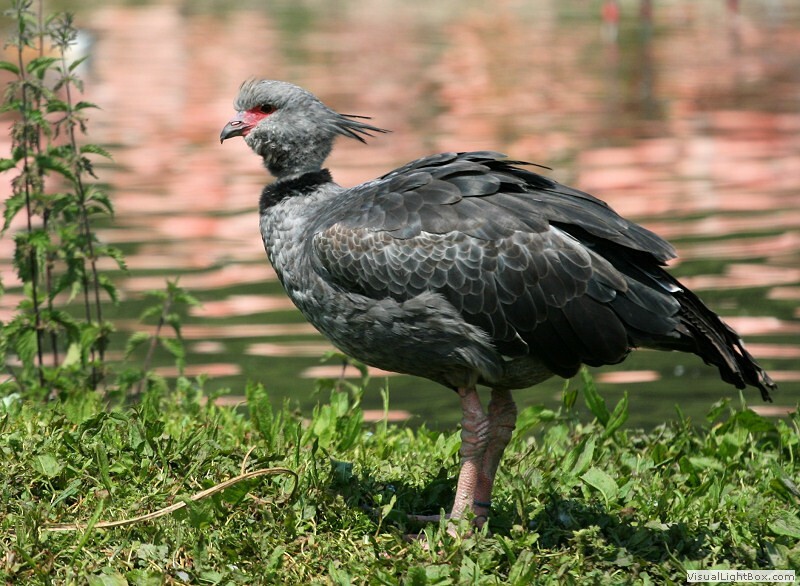 Their pink feet are only partially webbed. 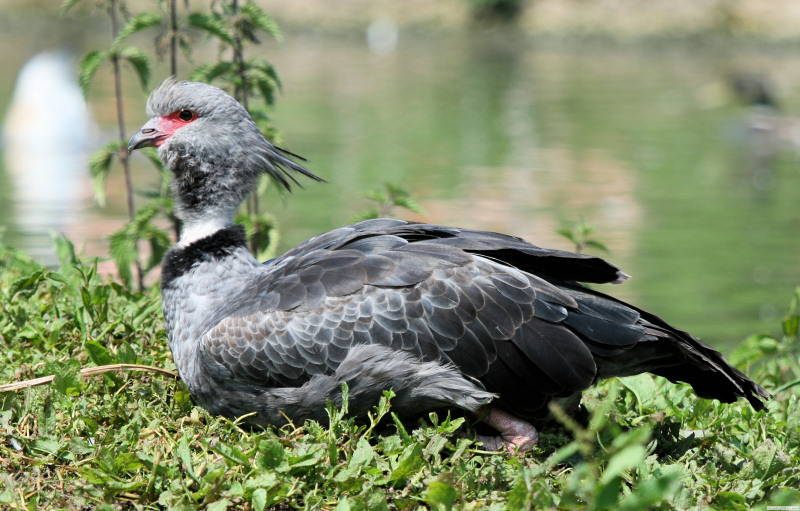 Both sexes are alike with the male usually being slightly larger. 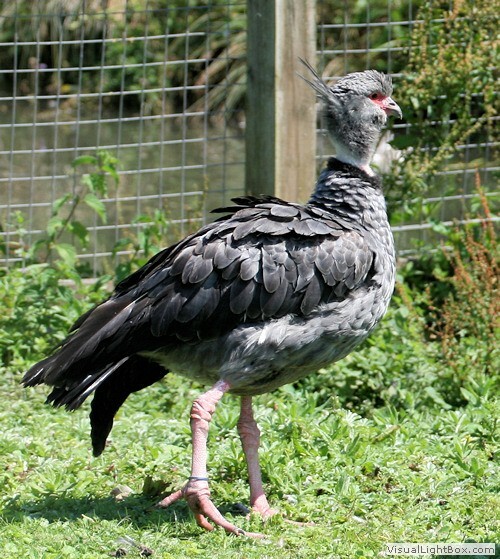 Size: - Typical Adult is 83-95cm (33-37in). 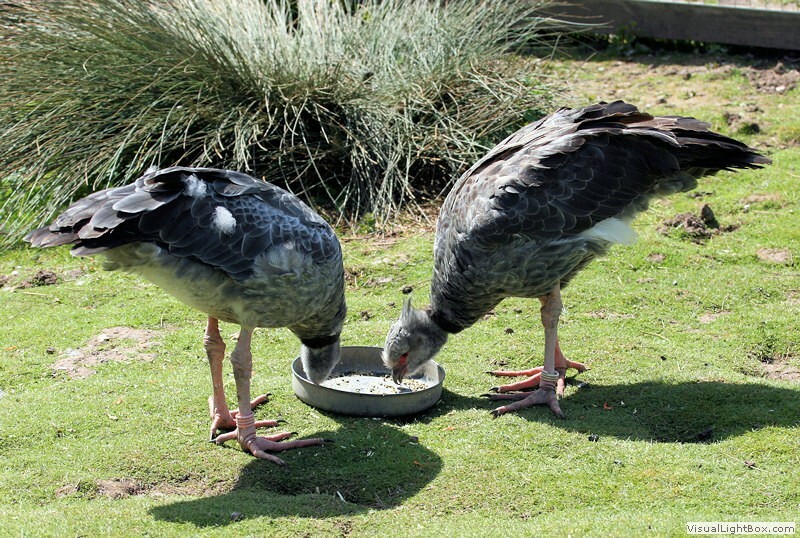 Food: - Mainly vegetation - plants, grasses, seeds, also occasionally insects and small animals. 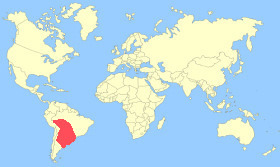 Habitat/Range: - Wetlands, flooded grasslands, marshes, and lakes in South America - Peru, Bolivia, Paraguay, Uraguay, Brazil, and Argentina. 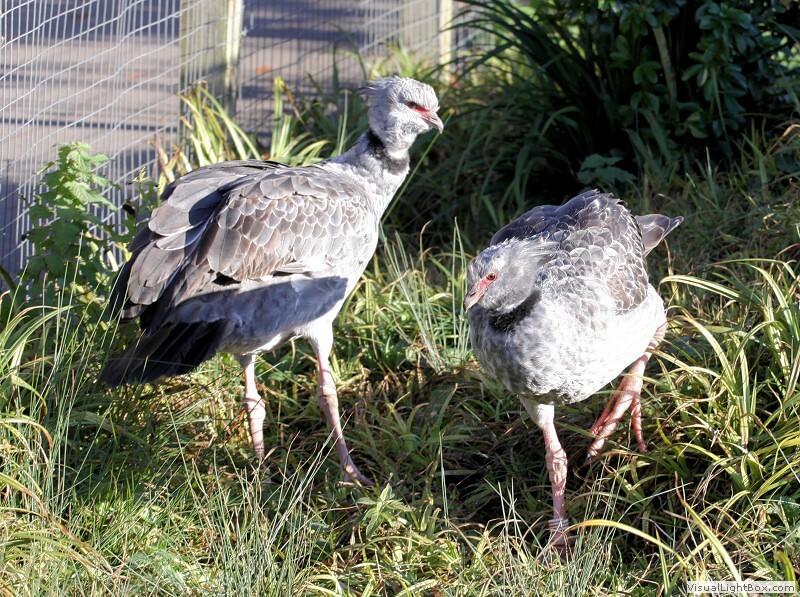 Breeding Season: - October to December. 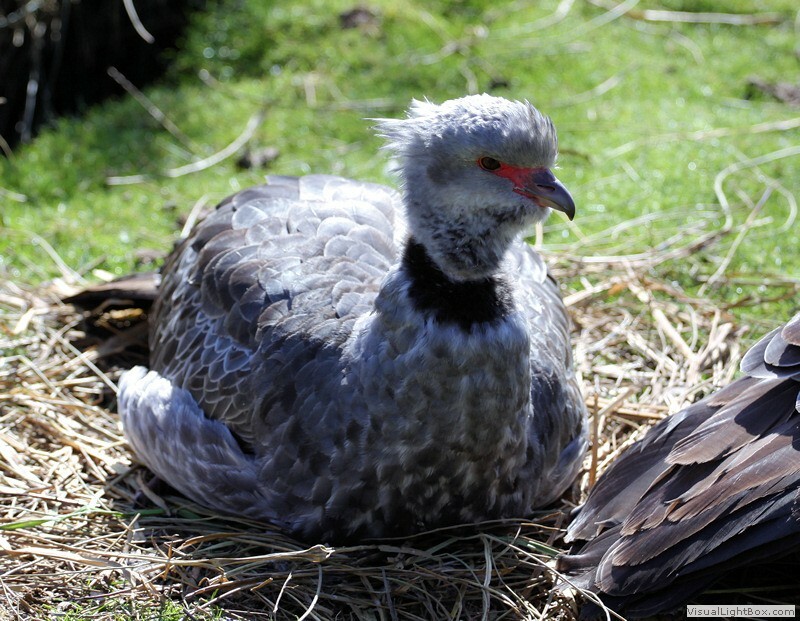 Eggs: - 2-7 white/beige eggs. 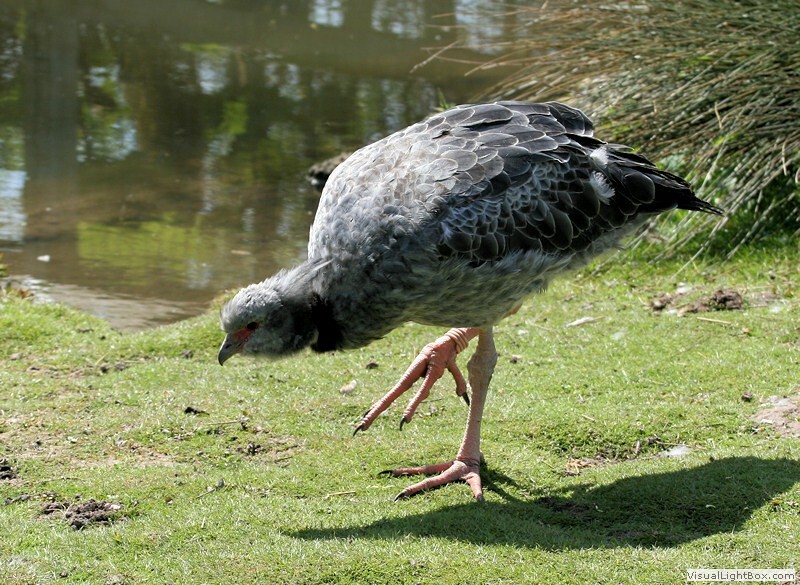 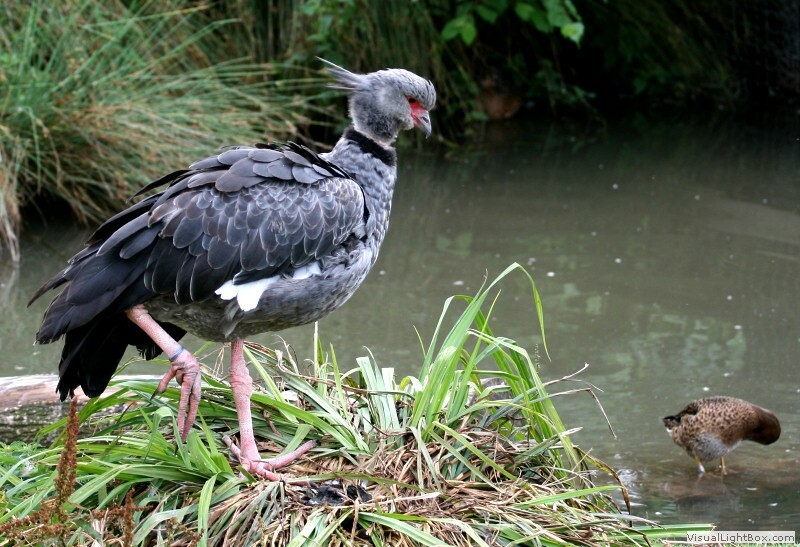 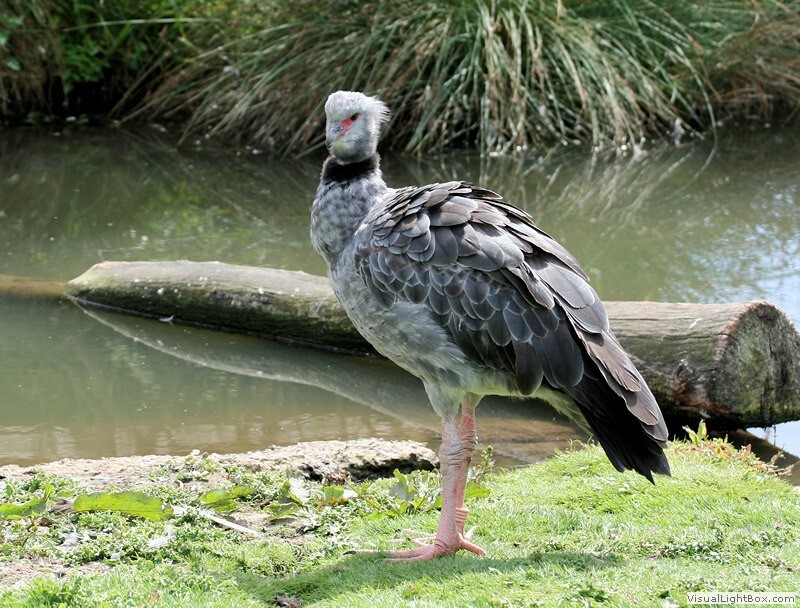 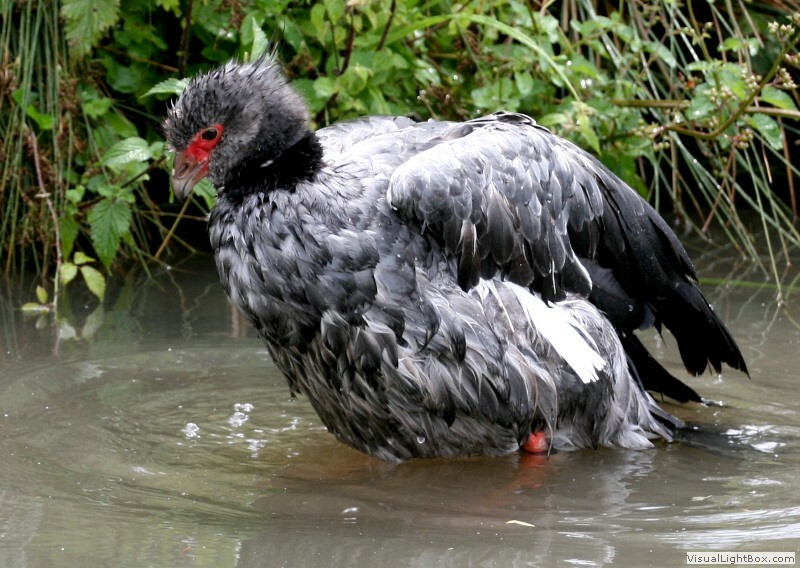 Notes: - The Crested Screamer is a good swimmer but prefers to be on land. 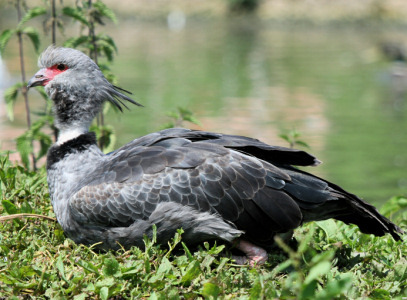 They do not migrate but stay in the breeding grounds of south America. 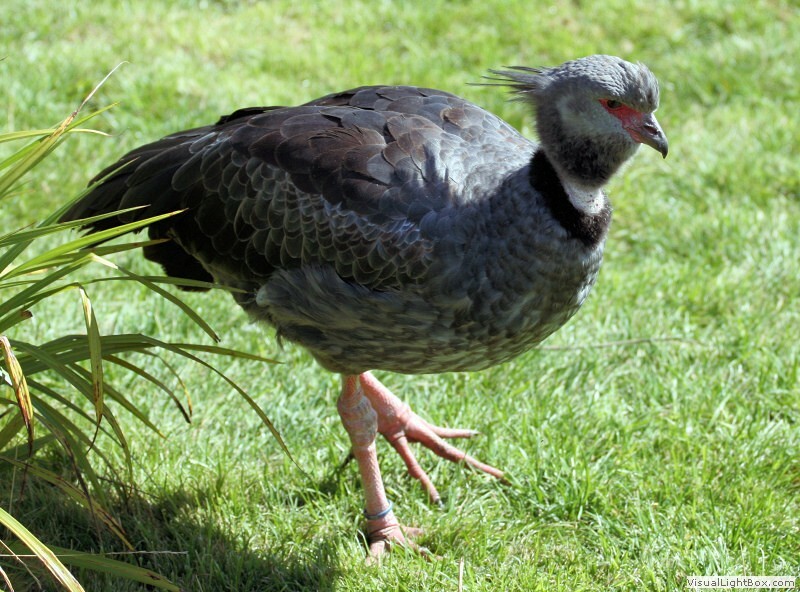 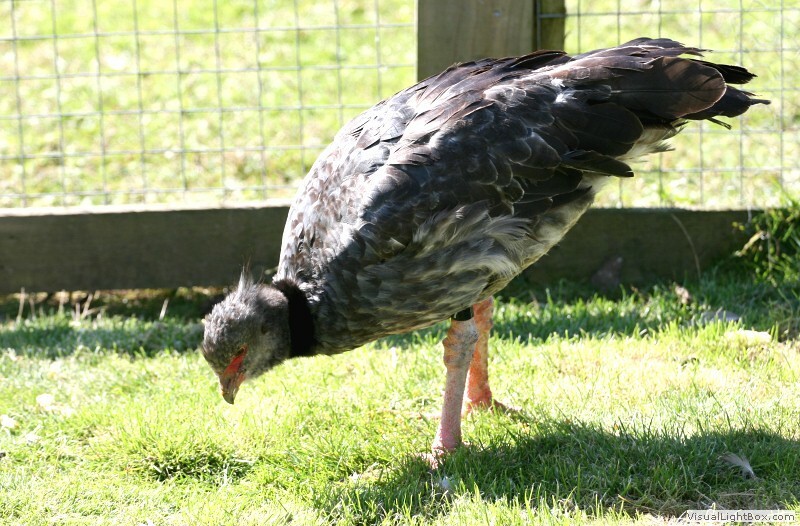 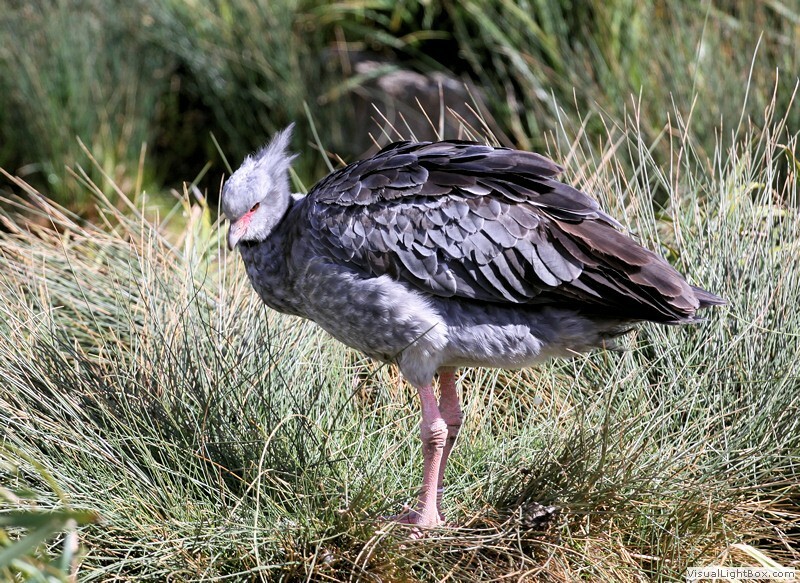 Crested Screamers, as their name suggests, have a very loud call which can be heard for miles.